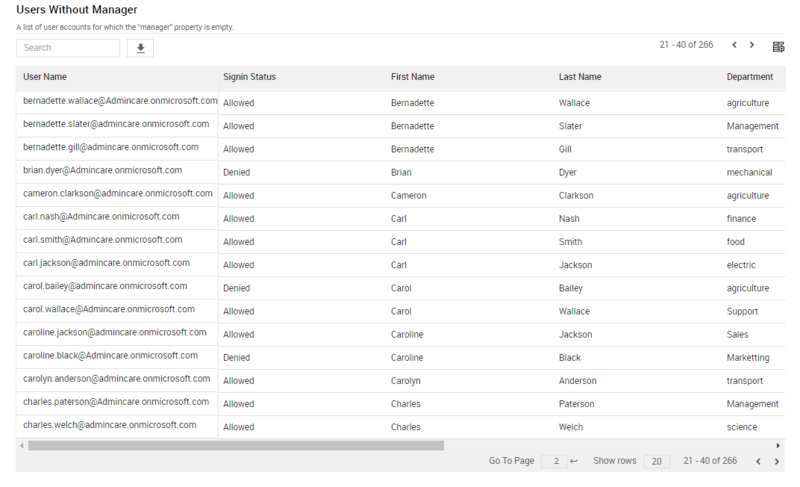 Office 365 license assignment defines which user can access what the Office 365 services. Wrong license assignments may lead to chaos in your organization. So administrator needs to monitor the license expiration and at the same time, one needs to ensure that they are utilizing their Office 365 subscription at the maximum. AdminDroid Office 365 Reporter provides you the following license analytics information by analyzing your O365 data. These insights help you to make the decision faster and better. Get a precise statistics of what are the O365 services are enabled in your organization and how many users are using it. Get a clear overview of how many subscriptions are purchased in your organization and the status of those subscriptions. 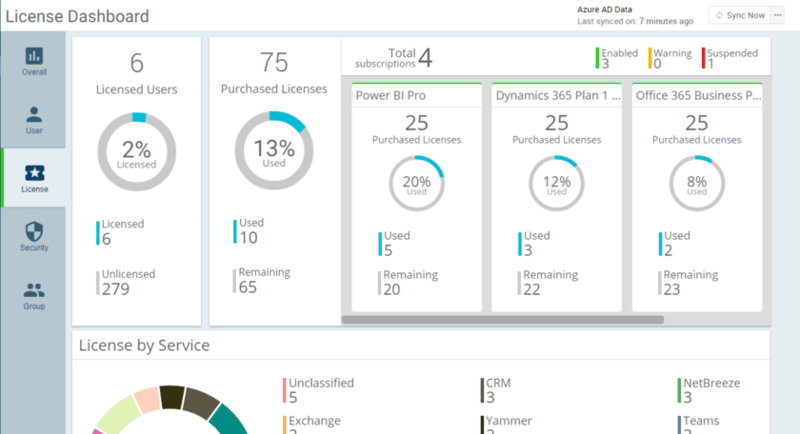 Get to know how many licenses are utilized in each office 365 subscription. Get to know how many licenses are left unassigned in each office 365 subscription. Get the number of licensed users and unlicensed users available in your organization. Following are the license reports offered by AdminDroid Office 365 Reporter. You can schedule one or more reports to run automatically at configured time and delivered straight to your chosen mail-ids. You can export the report results to CSV, Excel (XLS/ XLSX), HTML or PDF. This report gives the summarized view of all the subscriptions(Office 365 plans) purchased in your organization. Each subscription provides you the precise statistics of how many licenses are purchased, how many of them are assigned to the users and how many of the licenses are left. Further, it provides the number of disabled and suspended license units if any. AdminDroid provides some specially computed columns to give you more detailed license info. For instance 'No of licenses assigned' column will help you to know if you have assigned more than one licenses to any of the users. This report returns all the unlicensed users in your office 365 organization. Mostly these are the obsolete accounts which are need to be deleted periodically to keep your office 365 environment tidy, but some of the user accounts are not meant to be assigned with a license; for instance, administrator account or service accounts don’t require any licenses. So there should be further research done on the necessity of the unlicensed users in your organization.